Police and paramedics are Region of Waterloo services, but firefighters are not. We asked regional chair candidates if they think that should change. When looking at which services are regional and which belong to the cities and townships, think of what crosses urban and rural boundaries, Regional Chair Ken Seiling says. On your property tax bill, 70 per cent is for the region and 30 per cent is for your area municipality. "We do water supply. We do sewage treatment. We do paramedic service. We supply police services. We do all the social services. We do public health. We do regional planning with the transit system, all the major, large-scale services by and large are there," Seiling said. But with police and paramedics on that list, why not fire crews? Seiling, who is not seeking re-election, says it's an issue that's been discussed in the past informally. "In 1973, when the region was created, it was felt that the fire departments, because of the mixture of volunteers in the rural areas and paid firefighters in the cities, should stay at the lower tier levels so they could maintain those kinds of services. But the conditions under which they operate now have changed and those mixed departments can exist now and do exist in some areas," he said. "It's probably a question that merits some discussion in the future." 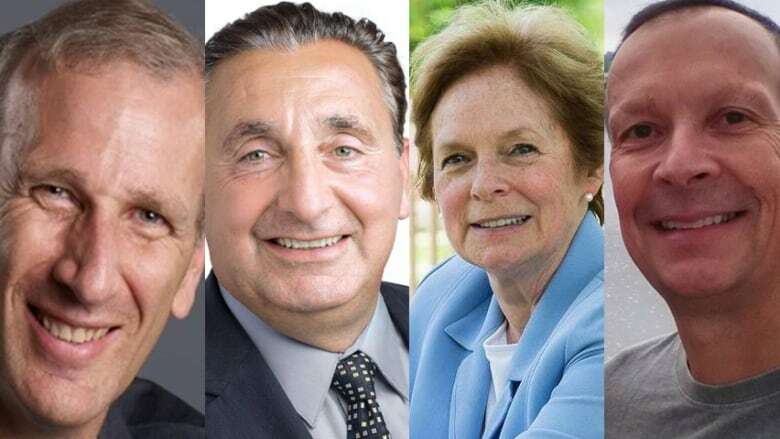 Four people are running for regional chair and CBC Kitchener-Waterloo asked them whether they think fire services should become a regional service. Jan D'Ailly says if it would save money without compromising response times, the region should do it. But, he added, "It's my understanding that there is already a great deal of co-operation between the forces with many efficiencies already achieved, like a joint training centre or the sharing of specialized equipment and personnel." Karen Redman said such a move would require "extensive conversations with the lower tier municipalities." "It makes a great deal of sense from an improved response time and effective delivery for fire services to be a regional government service," she said. She noted examples like Halifax where fire service involves both full-time and volunteer firefighters. "From a co-ordination perspective and unified dispatch capability, it makes sense for regional delivery given the delivery of police and emergency services at the region," she said. Jay Aissa said funding and supporting the region's first responders is a "central plank" in his policy platform. "From both a financial and efficiency point of view, I believe that all first responder departments within our region should be funded and supported regionally," he said. "From a cost efficiency point of view alone, it would only make sense to have one fire department serving all seven municipalities, as opposed to having several independent fire departments providing multiple levels of administration for each of our communities." He said his goal as regional chair would be to reduce response time for all emergency services. "Today, right now, it will not happen," Rob Deutschmann said. He says townships would be concerned about cost increase because all firefighters are volunteers right now. As well, there would be concerns about the level of service in the townships. He says it makes sense to have one big service, but the current system has firefighters in the region training together and departments are making purchases together to find savings for everyone. So, it works for now. If cities and townships "said that they wanted to have that conversation, I'd be more than happy to, but that's not going to be a priority for me as regional chair," Deutschmann said.